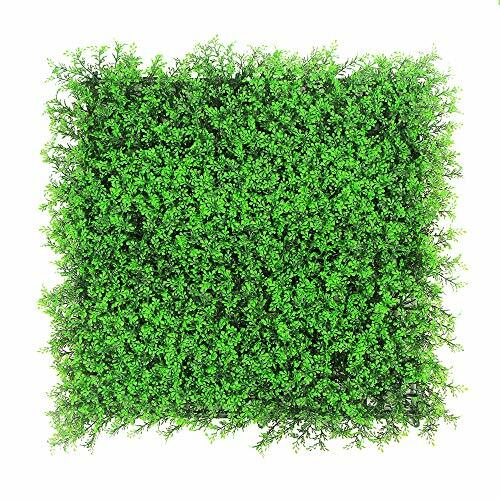 ULAND Uland Artificial Ivy Fence Panels are vividly natural looking, perfect to conceal unsightly views such as air conditioning, rusty chain link fences, dirty walls, unsightly areas, turning them into a brand new look. Small and detailed green ivy leaves provide a dense, lush and natural look, without gaps, aesthetically creates a completely private space while you are relaxing in your own yard and playing with family. Both panels and foliage are UV resistant, they can last for a reasonable period of time when exposed to direct sunlight and will not fade or discolor. Weather resistant, to guard your yard no matter hot days or chilly nights.